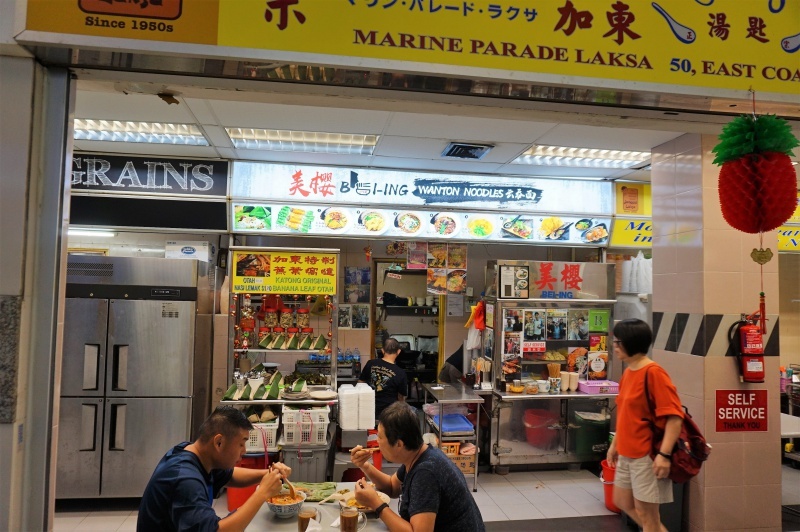 Our original plan was to explore the original laksa at Roxy Square Katong but Bei Ing Wanton Noodle caught our attention with those prominent accolades displayed, it seems like Bei-Ing Wanton Noodle has the right substance to win the acclamation, so, we decided to tap along and give it a shot. 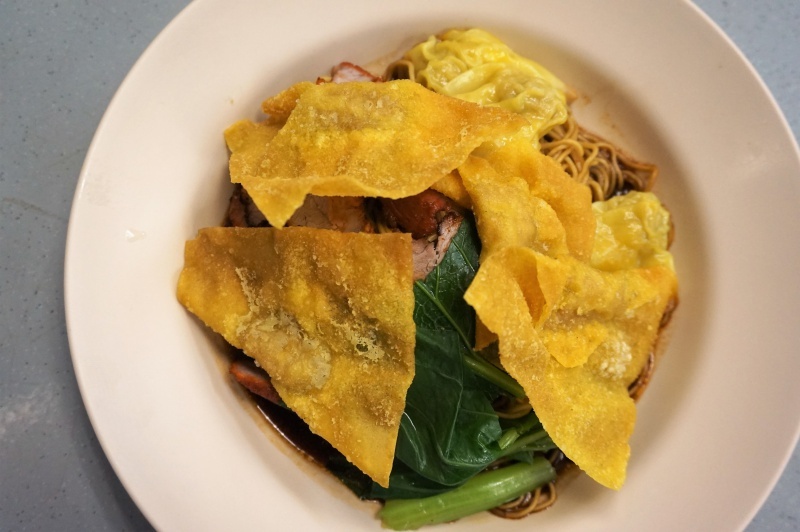 The noodle come with $4/5/6, the $4 serving come with 3 pieces of fried wanton, boiled wanton, char siew and veggies. The side order of fried dumpling cost $7. The noodle was not the usual red chilli sauce base but the KL style that mixed with the black sauce, the al dente noodle was reasonably tasty thought spiciness was not there to spice up the overall favour. 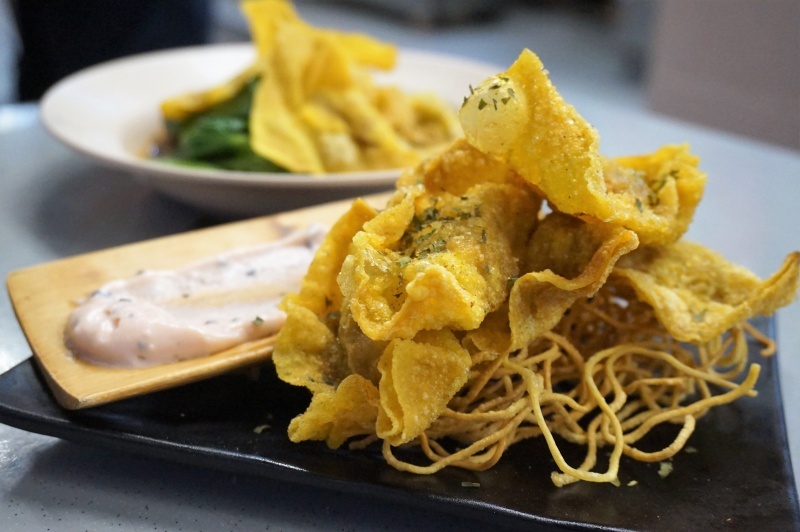 Both fried wanton and boiled wanton were ordinary. However, the char siew definitely deserved to mention for its well caramelised and succulent flavour. 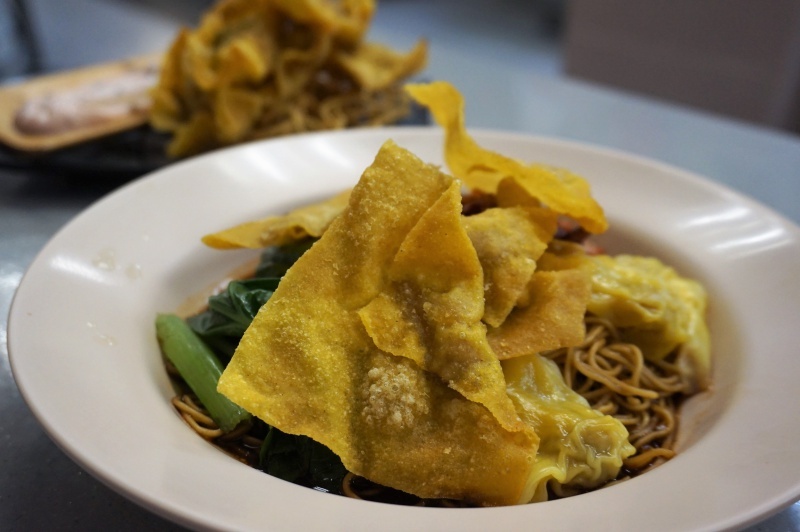 What is the spotlight at Bei Ing Wanton Noodle lies on their side orders, we ordered the fried dumpling that come with fried noodle – the wanton noodle was deep fried to make it tastes like the “MaMa” package noodle which is nice to munch on its own. Fried dumplings were wrapped with a complete shrimp and minced meat, you can dip into the truffle infused mayonnaise sauce for the extra kick. The highlight here is the restaurant’s standard plating, dumpling and fried noodle don’t come in a plastic bowl but served in a nice black rectangle porcelain plate with a dash of brush of the mayonnaise at the side good for some Instagrammable shots. The soup that served along with the noodle was light and nothing worth to elaborate further. 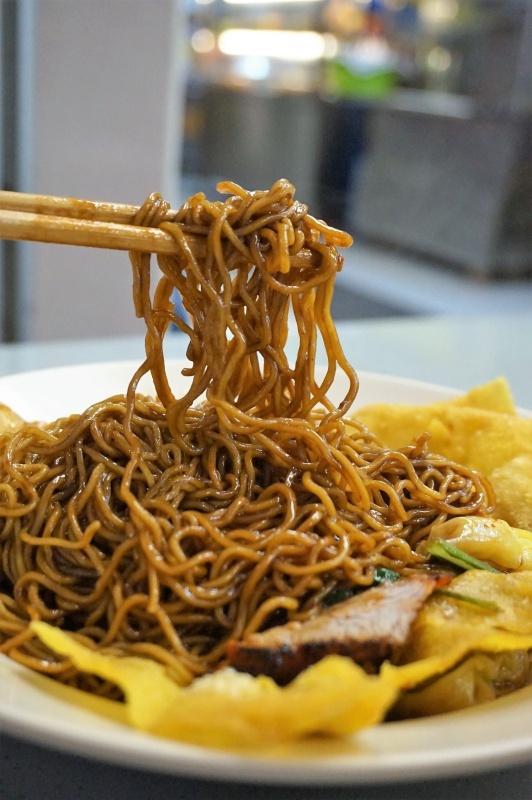 The extra efforts by Bei Ing Wanton Noodle to present the side order with its esthetically pleasing plating could be a surprise from a hawker stall, the ear-splitting voice from the owner when calling up your order number is another notable marketing gimmick to leave you with a lasting impression.